More than twenty years of passion and experience for you pleasure and security ! 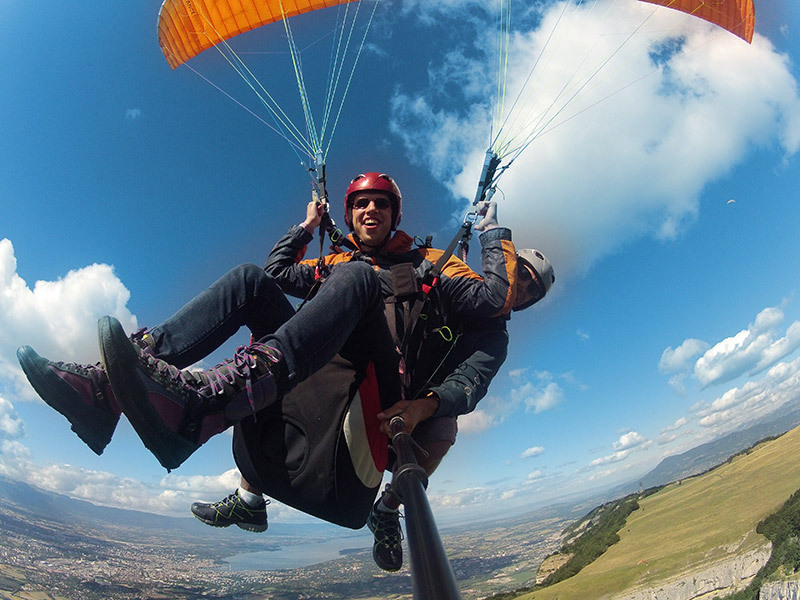 The joys of paragliding are accessible to everyone when flying in tandem. 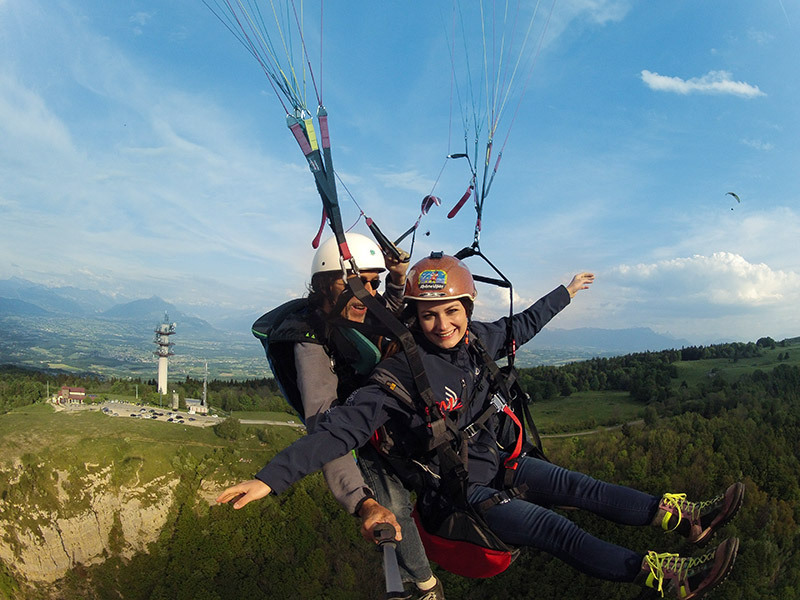 Accompanied by one of our professional pilots you will take off from mont Salève around 1000 to 1300 meters with a magnifique panoramic view of Geneva, it’s lake and a back drop of the Alps, Mont Blanc and Annecy. The Short Discovery Flight 10 to 15 minutes. The Traditional Flight of 20 to 25 minutes. The Complete Flight of 25 to 35 minutes. Leave with the Memories of your flight on cards SD/microSD. 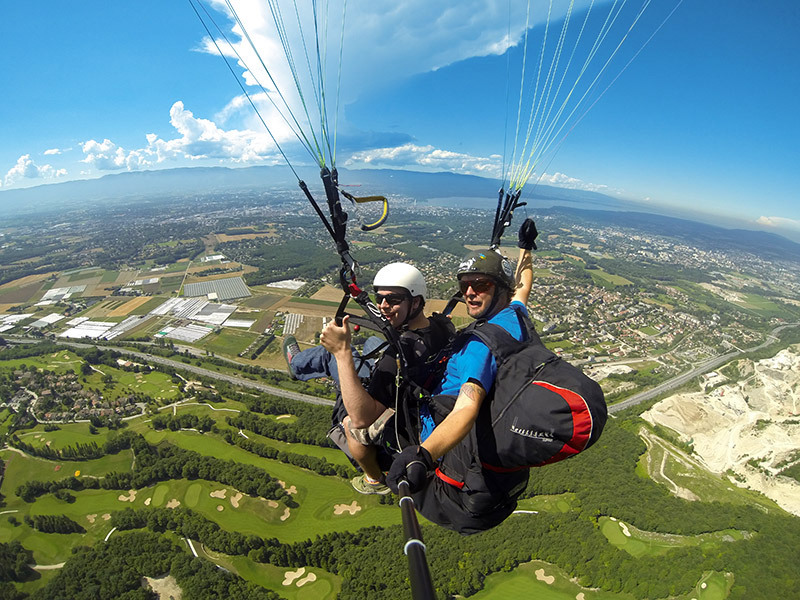 The know-how of our pilots and the use of small cameras embarked in short lens fixed to perches allow us to realize magnificent photos and video of your flight. Do you need a nice gift idea for a loved one? Offer a gift voucher! Your voucher is valid twelve months from the date of issue. You may choose between all our flights or a define value, to shop in our store. You can pay with Paypal, with or without account, using your credit card, by selecting the option “pay by credit card” on the Paypal checkout page.